Home to gorgeous coastal views, beautiful real estate options, and one of the safest neighborhoods in Honolulu, the community of Waialae Iki awaits your arrival. Nestled between the Wailupe and Kapakahi Valleys, those who live in Waialae Iki wake up to breathtaking views of Diamond Head to the East, Koko Head to the west, and the vast Pacific Ocean stretching as far as the eye can see. This ridge community escapes the heat of the city because of its elevation and cool trade winds. Directly inland from Kalanianaole Highway, residents enjoy easy access to neighboring cities such as Honolulu and Waikiki. The beauty and safety of the Waialae Iki community are what makes it one of the most sought after neighborhoods in Honolulu, Hawaii. Residents of Waialae Iki are pleased with the amount of nearby amenities and recreation available for their use and enjoyment. Within the community are numerous parks, such as Laukahi Sloped Mini Park and Waialae Iki Park, where children and families gather to use playgrounds, sports fields, and picnic areas. Additionally, Waialae Iki’s close proximity to challenging hiking trails, snorkeling, and surfing spots is what makes it ideal for outdoor enthusiasts and active individuals. With Diamond Head and the Wiliwilinui Hiking Trail within a five-minute drive from the community, many residents take advantage of Waialae Iki’s wonderful location. With nearby access to downtown Honolulu, residents enjoy a large variety of amenities, such as shopping, dining, professional services, and beautiful beaches. 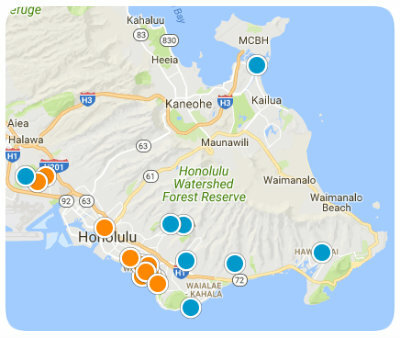 Waialae Iki offers homebuyers a large variety of diverse real estate, from single-family homes to luxury estates. This community in East Honolulu is home to warm and welcoming residents who enjoy its safety and beauty. Properties range in size, starting at 1,500 square feet and reaching all the way up to 5,000 square feet and above. You will find both old and new construction in Waialae Iki, yet all real estate properties are well-maintained and boast of incredible ocean views from every perspective. If you would like more information regarding homes for sale in Waialae Iki, please allow us to assist you and contact us today.